It's FRIDAY!!! Woo-Hoo!! I am so ready for the weekend! No plans, just being a homebody with the freedom to do whatever I choose. For today's Power Poppy card, I chose to use one of the new Va-Va-Valentine Digital images that are just too adorable to resist!! They are easy to color, and just so fun!! 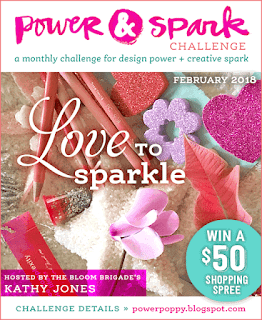 There's also a fun new Power and Spark challenge that started last week, so I incorporated some sparkle on the fan blades, sentiment, and hearts with my Glitter Gloss Nuvo pen. You can see the sparkle a bit better below. I should add that I changed up the layout of the "Happy Valentine's Day" sentiment. Since it's digital, I was able to manipulate it to fit the way I wanted it on the card. I used Photoshop. For a tutorial on how to do this, click HERE. Thanks for dropping by! I hope your weekend is off to a great start!! Tosh I love this... First the splattering background is awesome and so subtle. I need to do that. Your sparkle on the fan is darling! This is totally COOL!!!! Love it. EEE, look at those gorgeous sparkly blades! This is awesome, and that splattery background jazzes it up too. Such a fun design! This is adorable Tosh! I love the colouring of your fan and that added sparkle.. too cute! 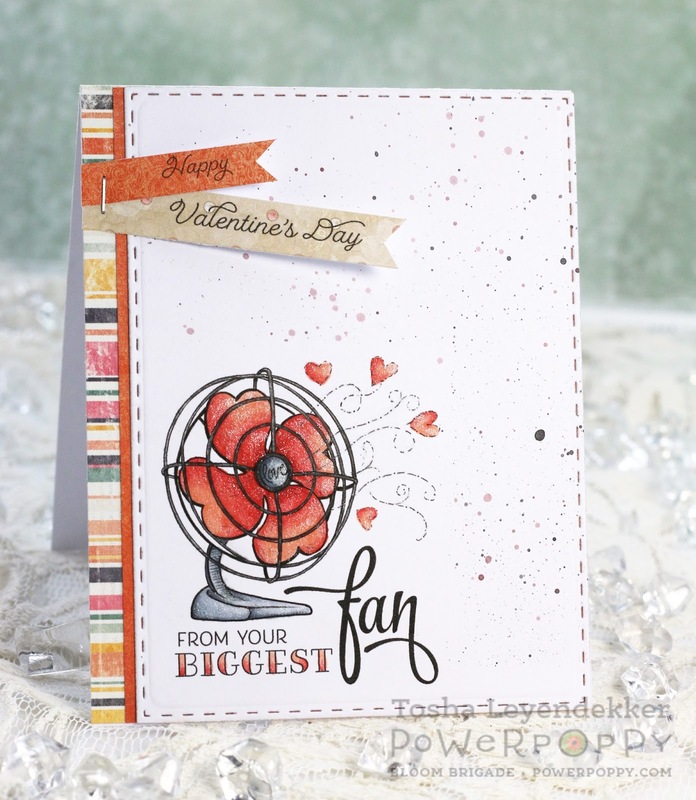 Fabulous card this week! Warm hugs from the North! Look at all that fabulous sparkle! Love the flags and that striped border. You're so good!